There are many ways to use our chutneys, jellies and preserves in cooking. 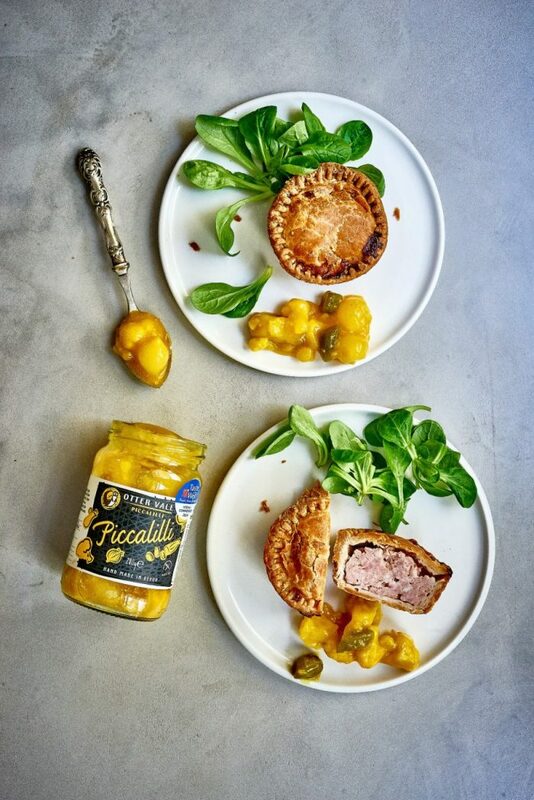 In 2017, Chris Dayer (Head Chef at River Exe Café) created two spectacular dishes using our products and it got us inspired to think of some of our own uniques ways to enjoy Otter Vale..
Our popular Devon Fire Chutney goes surprisingly well sharp cheddar. 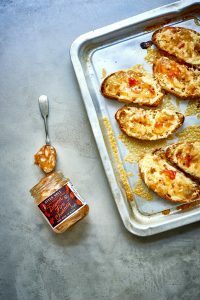 It’s the perfect accompaniment to tangy cheese on toast and local stockist Otter Nurseries even serves it with cheese scones as part of their Savoury Afternoon Tea! 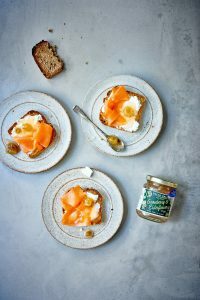 Our Gooseberry & Elderflower Chutney is a light and flavoursome accompaniment to a dish such as smoked salmon and cream cheese on toast. Indeed, after chatting with James English (Head Fishmonger at Greendale Farm Shop) we’ve also realised it goes beautifully with mackerel pate. 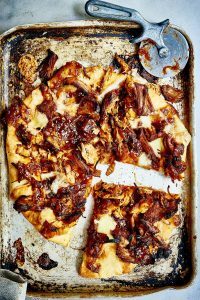 You simply must try our Onion & Pineapple Devon Chutney with Pulled Pork on pizza. They serve it at The Pizza Cafe in Newton Abbott and it’s amazing (even if we say so ourselves). For a crowd-pleasing dinner, why not try our Devon Farmhouse Cider Mustard with a pork chop and some tender stem broccoli?